Slight variations between swatches and final product may occur. Call 800-558-1696 to request printed color swatches. All decals are available in any of our standard print colors. 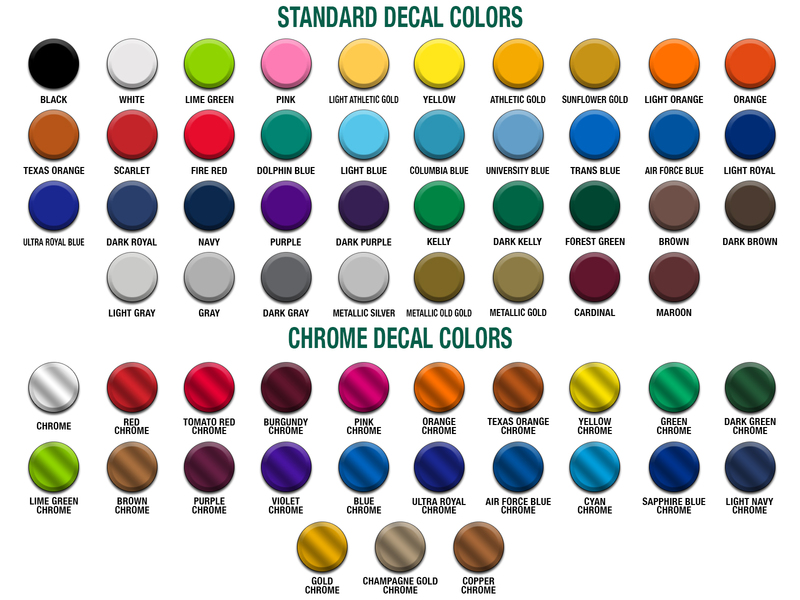 Chrome colors are available for an additional charge. Contact Customer Service for pricing.